The National Advisory Board (NAB) is democratically elected to support athletes and members by addressing emerging issues of broad potential impact and developing policies for the organization when needed. In 2019, the Cheer and Dance National Advisory Boards were combined to one NAB in an effort to streamline conversations and planning that affect both cheer and dance while allowing for separate conversations that are relevant to one or the other. We look forward to more meaningful collaboration of all members. CHEER or CHEER & DANCE REPRESENTATIVES (10): During each election five representatives will be elected to serve a two year term. 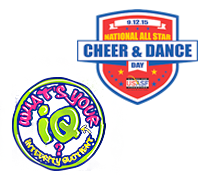 Each candidate must be recognized as an eligible owner or eligible coach of a member programs that has All Star Cheer Teams. They may, but are not required to, have All Star Dance Teams. DANCE REPRESENTATIVES (4): During each election two dance representatives will be elected to serve a two year term. Each candidate must be recognized as an eligible owner or eligible coach of a member program that has All Star Dance Teams and does not have All Star Cheer Teams. CHEER or CHEER & DANCE REPRESENTATIVES (10): During each election five representatives will be elected to serve a two year term. Each candidate will be an owner or employee of a member event producer company that offers All Star Cheer Divisions at their sanctioned events. The company may, but is not required to, offer All Star Dance Divisions at their events. DANCE REPRESENTATIVES (4): During each election two dance only representatives will be elected to serve a two year term. Each candidate will be an owner or employee of a member event producer company that offer only All Star Dance Divisions at their sanctioned events or hold a Dance Only National event. During each election three affiliate representatives will be elected to serve a two year term. Each candidate will be an owner or employee of a member affiliate company. Members must comply with the NAB Code of Conduct and attend both semi-annual meetings. Owner | Coach Representatives: All current and active members of their Regional Advisory Board (RAB) are eligible for consideration for the National Advisory Board. RAB members will decide if they would like to be on the NAB ballot for their region. If you would like to be considered for your Regional Advisory Board, complete this form to apply. Event Producer Representatives: Each current event producer member may nominate owners or employees of their event production company or other USASF member event production companies. Affiliate Representatives: Each current event producer member may nominate owners or employees of their event production company or other USASF member event production companies. Coach/Owner Representatives: Eligible coaches and eligible owners elect the Coach/Owner Representative from their own region. Event Producer Members: Each member company will receive one ballot. The contact registered as the official contact with the USASF will be sent the ballot to cast the vote for that member company. Affiliate Representatives: Eligible coaches, eligible owners, Event Producers and Affiliate Members elect the Affiliate Representatives to serve on the NAB. Affiliate candidates will appear on the ballot that is sent to eligible coaches, eligible owners and the registered event producer official contact. A ballot, with only the affiliate candidates, will be sent to the official contact registered for each affiliate member.